Outside: The New Age? 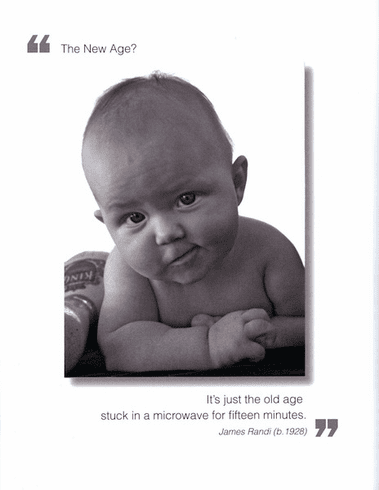 It's just the old age stuck in a microwave for fifteen minutes. - James Randi Inside: Blank. Borealis Press card measures 5 x 7 inches. Includes envelope.